Learn about surgical options for knee replacement, including total and partial options. Your knee joint is the area of your leg in which the thighbone fits neatly onto the shinbone. Your patellofemoral joint is the area in which the kneecap glides on the thighbone. These bony surfaces are covered by hard cartilage, which provides a cushion between the bones when you move your knee. If the hard cartilage wears away, the bones can rub against each other to cause pain and stiffness. This is called osteoarthritis. If arthritis is limiting your everyday activities and you have not been able to manage your pain with medications, cortisone injections, viscosupplementation, braces or physical therapy, then a knee replacement might be an option for you. 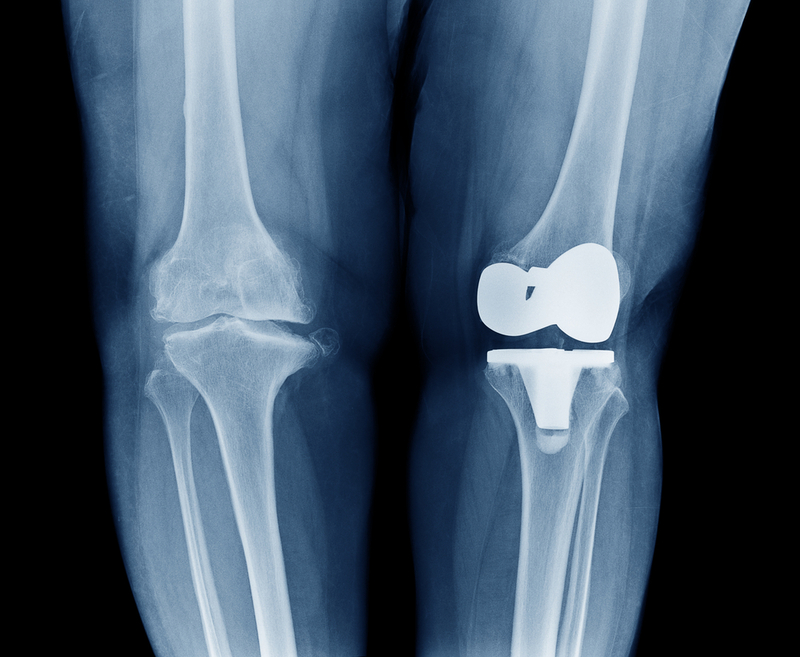 A knee replacement (arthroplasty) is where the entire joint is replaced with metal and plastic. This procedure is an inpatient surgery and patients typically stay two to three days in the hospital. Depending on the help you have available at home or in your living situation, you may need to go to a skilled nursing facility after surgery. There, you will be provided with daily physical therapy and assisted with your everyday tasks like bathing and meals. Total knee replacement surgery involves your surgeon making an incision that is seven to ten inches long on the front of your knee. Your surgeon will slide and tilt your kneecap to get a visual of the rest of your knee joint and assess the damaged tissue. The damaged bone and cartilage of the tight bone gets removed and resurfaced to be replaced with a metal component. The same process is done to your shinbone and the two metal components come together to form your new knee joint. A plastic insert is put between the metal components of your thigh and shinbone to absorb force and help your knee glide more naturally. Your kneecap may be smoothed out and flattened before it is returned to its normal position. 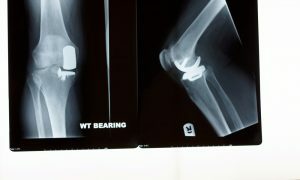 Your surgeon will then move your knee around to ensure that proper knee mechanics are achieved. This entire surgery can take anywhere between two and four hours. The recovery process for a total knee replacement can take anywhere from twelve weeks to six months with regular follow-up appointments for x-rays and clinical exams until the knee is healed. After your knee replacement surgery, it is very important you are challenging yourself and pushing yourself each day. There are many exercises that patients can do to make their recovery more comfortable and help strengthen the muscles in the thigh and leg. A partial knee replacement is an option for an overwhelming number of patients. At Stevens Point Orthopedics, we offer the Oxford partial knee replacement. Dr. David Henneghan has more years of experience with these types of knee replacements than any other provider in central Wisconsin. Compared to a total knee replacement, the surgery process is similar for the partial knee replacement but can be done in an inpatient or outpatient setting depending upon your health, medical history, and insurance. This means you may or may not spend a night in the hospital. About 40% of patients with osteoarthritis of their knees are candidates for this procedure. In order to be a candidate for a partial knee replacement, your arthritis must be confined to the front and inside portion of the knee and the ACL (anterior cruciate ligament) must be intact. This is not a stepping stone procedure. In fact, after 20 years 91% of patients still have their partial knee replacement and have not progressed to needing a total knee replacement. Recovery from a partial knee replacement usually takes about three to six months. Individuals with sedentary work realistically can return to work in about two weeks after their procedure. Those returning to more active work may be six weeks or longer. After a full recovery, patients with a partial knee replacement are able to return to the same motion and function as a normal knee.